The car Mercedes GLС is an excellent SUV. This car is not only ideal for trips over a long distance, but taking into account its dimensions, it is an ideal solution for the city. Thanks to the German quality of the assembly and accessories, it is popular with many motorists. But given the fact that this car is a premium class, the cost of upgrading it is quite high. The cost of such work at official dealers is very high. There is an exit! The company SMARTY Trend will help you to improve your car with excellent price-quality ratio! Supporting regular functions in a car is one of the key functions that is a priority for many. All SMARTY Trend receivers support all standard vehicle functions. Climate control, rear-view camera, park tronik, buttons on the steering wheel continue to work in normal mode. In this case, you can enjoy all the benefits of the Android system. All SMARTY Trend head units are equipped with an integrated Wi-Fi module. You can use your mobile phone as an access point to the Internet, or additionally install a router. Thus, you can use a full access point for all your devices and always stay online. Now you will always be up to date with the latest events, and all the necessary information will always be at hand. This car after replacing the head unit began to look more modern, its appearance began to meet the trends of modern time. A huge number of new features that are not always available in cars of the latest model year are now always at your fingertips. Full support of all regular car functions is performed. 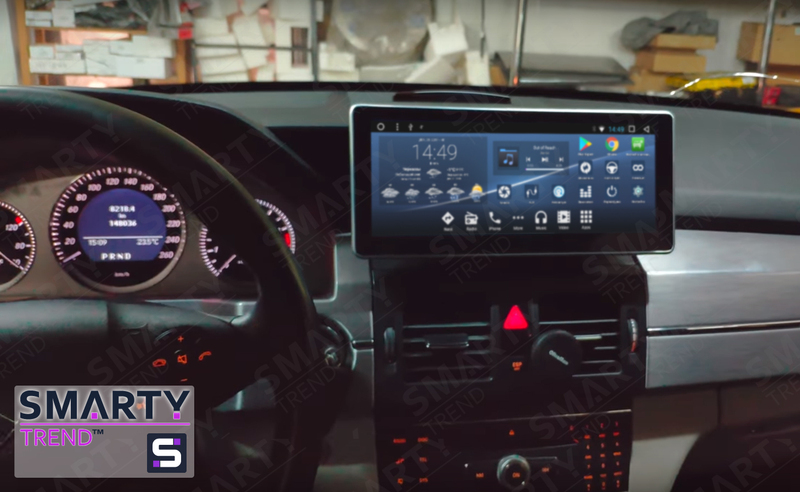 The quality of the materials used and the ease of installation make the SMARTY Trend device the best solution for a car even of premium class. Start improving your car today!